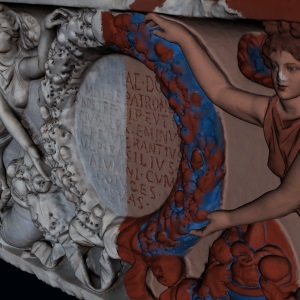 The goals of this research are the study and definition of a new methodologies for improve the knowledge on the ancient polychromy (colour and gilding) and its digital visualization. Specifically our purpose is to identify and propose a systematic and multidisciplinary method focused on Computer Graphics technologies to detect, collect, share, integrate, reconstruct and visualize on the Web all types of gathered data. 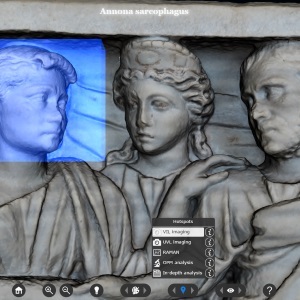 To do this, we have started from the analytical study of a well-defined archaeological class of artefacts with known historical period and production place: the Roman marble sarcophagi made in Rome from the first half of the 1st century to the end of the 4th century AD. Visual Computing Lab of ISTI-CNR. Last update June 2015.